While phototherapy is the preferred treatment for physiological jaundice, the equipment is expensive and cumbersome, making its availability in PHCs difficult. Here is a story of doctor who sought to find a solution to this problem, and built his own portable and inexpensive phototherapy machine. Jaundice is a common disease witnessed in newborns with 60 per cent being affected by it. It affects two out of three babies born at full term and four out of five pre-term babies. Phototherapy is an effective treatment to reduce the level of bilirubin in the body of the newborns. In India alone, 8 lakh neonates die because of the disease, which is a very high disease burden. The phototherapy facility is easily available in large urban hospitals but, the equipment is, however, hard to find in Public Health Centres (PHC) and other health care centres in tier-2 and tier-3 cities. This leads to a high neonatal mortality rate which can be attributed to the disease. According to a UNICEF report, India ranks number 12 in the world in terms of neonatal mortality. 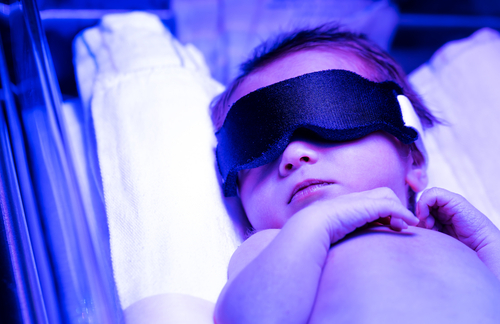 Phototherapy is the treatment for jaundice, which is essentially the use of visible light to combat the toxic effects of bilirubin. If they get the right treatment at the right time, they can be saved, says Dr. Kiran Kanthi, an anesthesiologist running a neonatal nursing care center in Bagalkot in North Karnataka. “The equipment available in the market is expensive and huge in size. A neonatal intensive care unit (NICU) needs to be set up to store the machine. Because of this, the baby is also separated from the mother while under the supervision,” Kiran explains. Kiran has witnessed and understood what a great tragedy this is and hence, decided to find a permanent solution to save the lives of these babies. He was inspired to conceptualise a low cost, portable, affordable, bedside neonatal phototherapy unit. It led him to set up Lifetrons Innov Equipments, a med-tech startup in Hubli, Karnataka in 2016. Although he could visualise what was needed, it was a challenge for him to develop the product all by himself as he did not have any engineering skills. Therefore, he approached Deshpande Foundation’s Sandbox startup which provided him with technical expertise along with the services of a lab required to make his vision a reality. After working on the product design for three years, they came up with ‘Aura 1.0’, a phototherapy device which is highly portable, light-weight with a 360 degree flexibility and importantly, less space consuming. It can be used at the bedside of the mother. It is not just a Blue LED with a specific wavelength. It has been found to be 1.5 times more efficient in the tests conducted in clinics, says Kiran. "I wanted to use compact and durable materials in the product. We used 20 Watt blue LED lamps which can last up to 30,000 hours. Most phototherapy devices have 200 Watt lamps that need to be changed every 5,000 hours. So, I stressed on efficiency," shared Kiran. He added that in the last three years, he has tested the unit in his nursing home and it has delivered results. "It is 30% more efficient than the old equipment," he said. Dr. Chandrasekhar Hiregoudar, a Paediatrician based in Sindagi, has been using the device since the last four months. He believes it is more innovative and efficient than the old device that he was using. "The light head has a flexible movement and has all the safety measures. Simultaneously, we could warm the infant and conduct phototherapy in the device while the baby is beside the mother," he said. He added that the device is very compact, handy and affordable. "It saves power and is also run by a solar back up," said Sindagi. It was inaugurated by the NITI Aayog CEO Amitabh Kant, on 18th July 2018 and is expected to enter the market in a month. Kiran is quick to mention that they have followed all the parameters stated by WHO and the Indian Academy of Pediatrics (IAP). We have taken safety measures and gotten certifications for the equipment. ISO (International Organization for Standardization), BIS (Bureau of Indian Standards) and CE (Conformité European) marking for international marketing has been done, he confirmed. Kiran adds that the equipment has been produced under the ‘Make In India’ programme of the government, where they have used the state government's ESDM (Electronic system design manufacturing) facility that is available in Sandbox Startups, which is also a government initiative. Good quality phototherapy equipment is usually imported from China, USA and Japan, Lifetrons portable phototherapy units cost Rs. 30,000, which is almost half the cost of imported phototherapy units which are priced at Rs. 60,000. The device will now be installed in eight medical colleges in Karnataka in the month of March. Kiran states that they plan on selling a thousand units this year. "We have sent the proposal to the Government of Andhra Pradesh, Goa, Telangana and Delhi and waiting for a green light. I was not an entrepreneur, hurdles of the ICU rooms made me one," says Kiran. This story was contributed by Manjunath Somareddi is Hubli-based freelance reporter and a member of 101Reporters.